Sonam opted for a pink Ralph & Russo gown from the duo’s Spring 2019 couture collection to wear to the Filmfare Awards on Saturday evening. As you can see, the runway piece didn’t have the arm sleeves and while adding them made for an interesting change, the gown itself looked hardly couture worthy, when you looked at the fit. 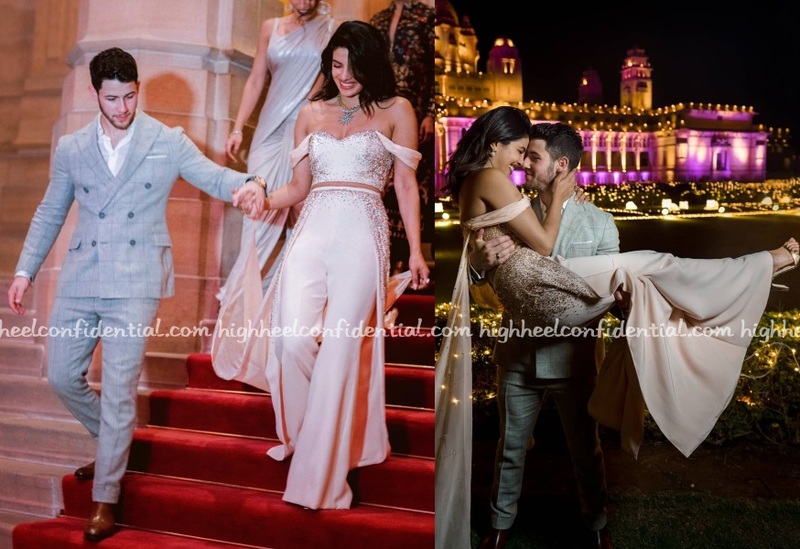 At a dinner to promote the launch of a social media app that she is an investor in, Priyanka was seen wearing a blush pink Ralph and Russo dress with ankle-strap sandals, a white small bag. The dress was nice but would I have liked her to see in a contemporary Indian label here, yes. Especially considering the focus was all about bringing something to India. Also, the middle parted hair was a bit of a downer. 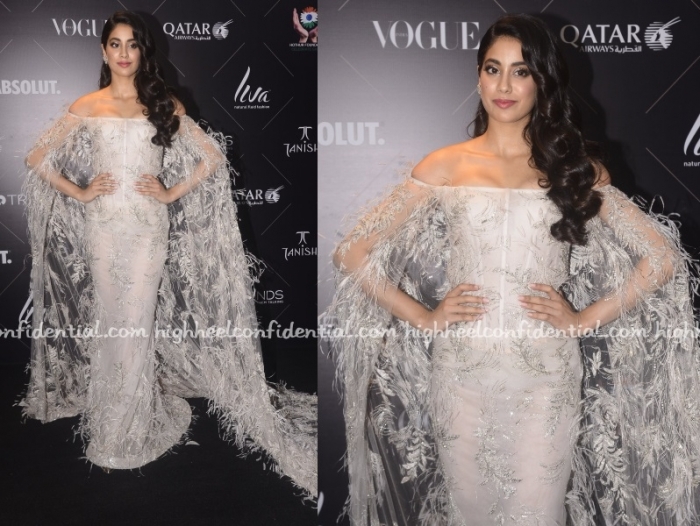 At the Vogue Beauty Awards, Janhvi was seen in a feather cape-sleeve gown by Ralph and Russo. A side-swept wavy do and and diamond earrings finished out her look. This was Janhvi’s first solo outing at a major Awards function and as such expectations were high. And did she deliver? Yes, she did! In fact, she looked amazing. Having said that though, think the gown was a bit much? Tell us what you thought.